These Peppermint Herb Bath Bombs are the bomb dot com. (Sorry I couldn't help myself) it just kinda type itself right on out there) Anywho, these are awesome to fix up and use when you need a relaxing pick me up. 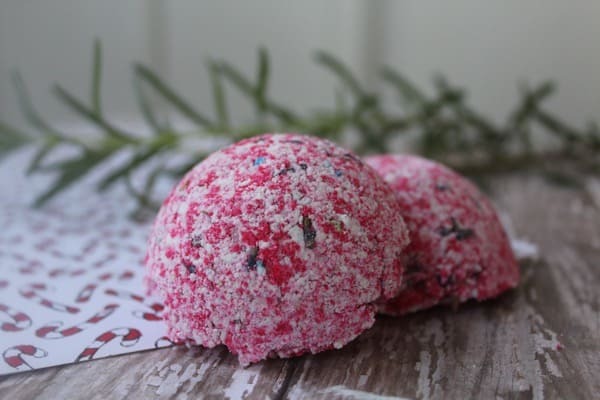 Peppermint Herb Bath Bombs would make great gifts too. They store well in air tight containers. 1. In a mixing bowl mix your dry ingredients. 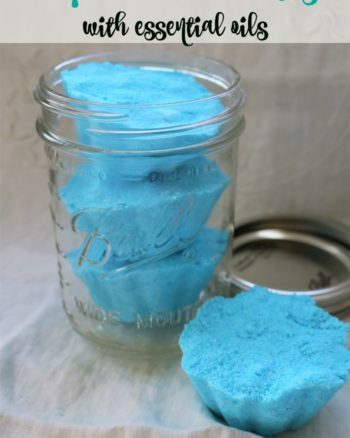 This includes the citric acid, corn starch, baking soda, and Epsom salt. Mix well. 2. Now add your 5-7 drops of peppermint oil. Mix well. Don’t mind any fizzing. 3. 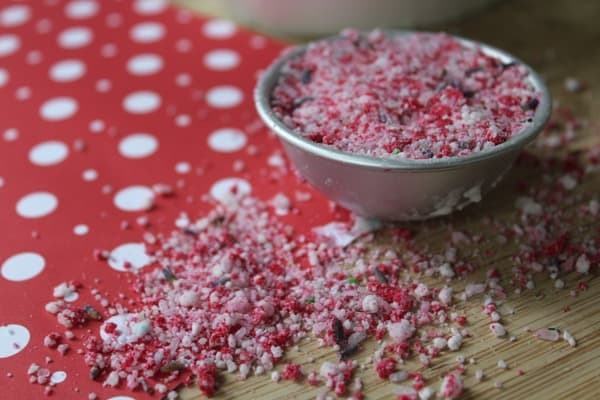 Add in a few drops of red food coloring (optional) and mix well. 4. Add the dried lavender or the lavender oil. Mix well. Optional: rinse and dry your fresh rosemary. Chop and add. 5. Spray in a few squirts of water. You will add about two teaspoons at the very most. Start off slow and add until the mixture starts to clump. 6. When your mixture can be molded into your hands, press into your ice cube trays or bath bomb mold. Pack firmly. 7. Turn the mold over and let the bomb fall out. Dry for 24 hours. 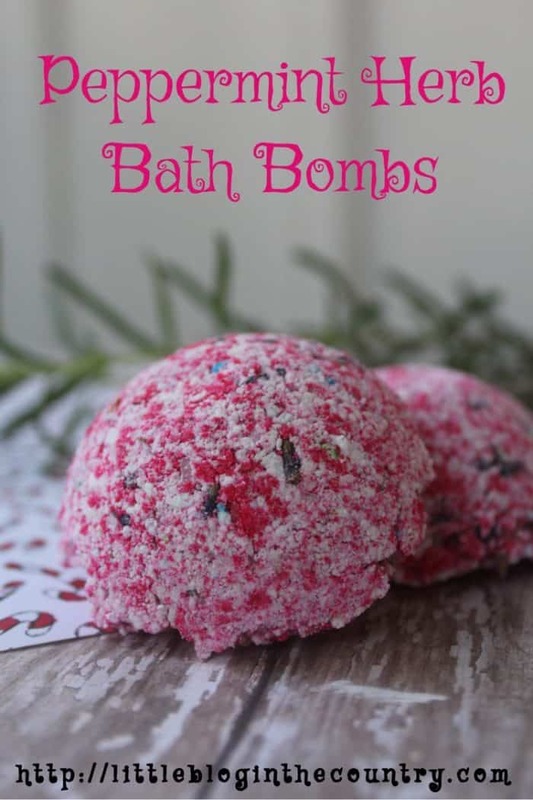 You can store your bath bombs in any air tight container, baggie, or jar. 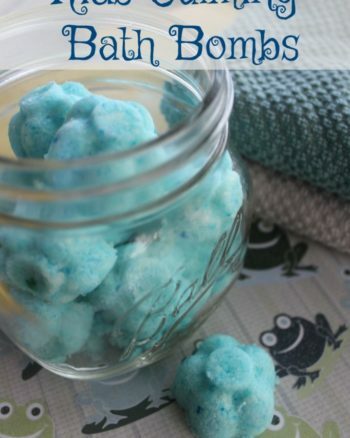 To use simply drop into a warm bath and it will start to fizz and bubble. Tip: If you have added too much water, try adding corn starch to thicken the mixture. 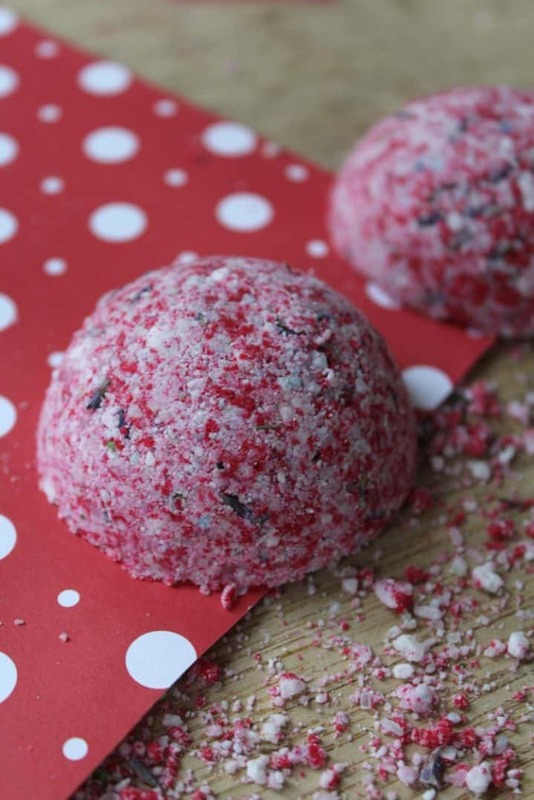 These winter bath bombs look good enough to eat! Thank you for sharing!